Debian is a great choice for setting up linux webservers. 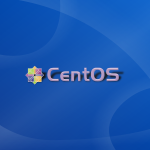 According to current stats it is the most popular server OS followed closely by centos. I am a great fan of the apt/dpkg/gdebi commands, which make it so easy to install and update packages on the system. To setup a complete functional php webserver, you need to install a couple of extra things which include a webserver and a database. In this post we shall be setting up nginx, php, php-fpm, apc and MariaDB. Nginx is a modern webserver, that has been designed to handle large amounts of traffic using the least amount of resources in terms of RAM and CPU. Before nginx the traditional webserver used through out the internet was apache. However as the internet became more populated, the need for a faster and efficient webserver grew. Apache by design is very bulky and has tons of features, most of which are not necessary for typical websites. It was probably designed to satisfy everyone's needs, but this ended up making it a large and heavy webserver with mostly unused features. Nginx on the other hand is a very sleek and swift webserver that focuses entirely on speed, scalability, and efficiency. The technicals of how it does so are large and beyond the scope of this post. May be we could take a look later on. Just for your information this website runs on nginx. Now without any further discussion lets get to work. The nginx package is right there in the debian repositories so you dont have to look anywhere else. Fire up apt-get and install it. Now launch the nginx server. We shall not modify the nginx.conf file directly. Instead we create a separate configuration file for each vhost/site and save it in the following directories. This is similar to apache. The sites-enabled directory contains the configurations for vhosts that are to be enabled. It contains symlinks to the corresponding configuration files in sites-available directory. Now that we have installed nginx, its time to setup a virtual host. This is what you would be doing on a real webserver to setup your site. Inside /etc/nginx/sites-available you would see a file named default. It is a template file to create your own configuration files. Just copy it and name it to your site. We choose to name the configuration files with the site name, so that it is easier to remember and maintain. Now open up binarytides.com and edit the things as per your need. When someone opens binarytides.com in his browser, the http header contains this hostname which nginx would pickup and search for a matching server block. When a matching server block is found, it would use the configuration from that particular server block. Another thing to configure is the web root directory for this site/vhost. Note that this is by default /usr/share/nginx/www which you might want to change to something else. So create an appropriate directory and point the root setting in the configuration file to the directory. After doing these changes, save the configuration file and create a symlink the /etc/nginx/sites-enabled directory. The last line of the output must say successful, or some error would be shown. It might show some warnings which can be fixed later. So the new configuration has taken effect. Now create a new index.html file in the new web root of this virtual host and open it from the browser and it should work. The next thing to install is the php interpreter and php-fpm. Php-FPM is dedicated fastcgi process manager for php that can interface or connect with any compatible webserver and manage php processes to process php requests. Install the necessary packages first. It will automatically install the necessary dependencies. You can install php5-cli package also if you need the php command to run php scripts. Php-fpm runs as a separate server and nginx communicates with it over a socket. Hence the php execution is totally outside the server. Also since fpm keeps php process persistent, it fully supports APC. A pool is a bunch of php processes running with same user/group. So if you want the php files of each site to run with a separate user permission, then you need to create separate pools of fpm. For simplicity sake we just showing a single pool here. Open the www.conf file which is again a template for you to use and create separate configuration files for each pool. We are not going to change much here. Just note down the socket path. We have to put this into the nginx configuration file. Go back to your nginx configuration and open it again. Now put up a file in the web root with the phpinfo call. And then open the file in browser and the php information block should come up, saying that php is setup and working correctly. Another thing that you can do is add index.php to the index files list. So that when accessing a directory, if no file is specified, then index.php gets called. APC is a great way to speed up the execution of php scripts. Apc compiles php code and keeps the opcode in memory and uses it next time without compiling the same php code again from file. This drastically speeds up execution. Apart from opcode cache, apc also offers a user cache to store raw data for the php application in memory. Php as of version 5.5 has new feature called OPcache which does the same thing as apc opcode cache thereby deprecating apc. Check the list of apc configuration parameters for more information. Now comes the last and final component of the LEMP stack. That is the MariaDB database and not mysql. Well by now you should be knowing that mysql is in the hands of oracle and no more a community belonging. So major corps have started switching to mariadb. The good thing is that mariadb is binary compatible with mysql with lots of additional features. So if you are already using mysql for your php applications then shifting to mariadb would be absolutely hassle free. Select Debian as the distro, Wheezy as the release and version 10.0 of mariadb. Then select a mirror on the right side. Now scroll down to the bottom of the page to find the repository details. Note that the command name is same as with mysql. But the name mariadb is there in the version information. So now the LEMP web server is ready to use. You may want to install a couple of extra goodies like phpmyadmin to manage your database better. 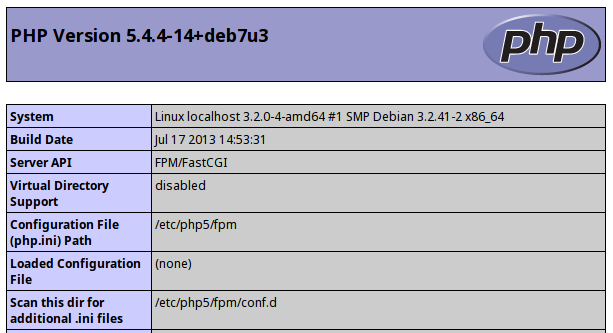 Phpmyadmin is there in the debian repository so install it right from there. Have any questions ? Feel free to comment below. Is it working for 2018? Thank you for reply. I don’t think it is necessary to install and configure apc and mariadb for LEMP stack on Debian. It can be done without it, like here: https://www.cloudways.com/blog/how-to-create-a-lemp-stack-on-debian-server/ The main packages to install are nginx, php, mysql, and phpfpm. Nice tutorial, but installing each package manually may take a lot of my time and I am not sure what is the best approach to setup a server. Would recommend manually installing each package or using some platform, like Cloudways (https://www.cloudways.com/en/php-cloud-hosting.php ), where all the packages are pre-installed when you launch a server? Where is mod rewrite settings? The tutorial is incomplete without rewrite being told. Please include nginx rewrite settings (especially for wordpress) in this article. Very useful. Thanks a lot ! The best article about nginx with php. Just want to add that the service command does not work. “service nginx start” will return the error “bash: service: command not found”. This.Is.Awesome! I’ve been researching how I want to optimize my dedicated box to handle the most traffic before I have to scale and was looking at nginx and mariadb…then stumbled across this article! I and I’m sure many others thank you for posting this configuration! Also make sure that php-fpm is running. Both the above commands should be run as root. [ ok ] php5-fpm is running. so I think it’s the permission problem, and I ran “chmod a+rx -R /usr/share/nginx/www/msite.com/index.php” to make it accessible, but it didn’t work. paste the contents of your nginx vhost configuration file. The server_name should be localhost if you are accessing from localhost. Thanks. Unfortunately not complete since you forgot to set the cgi.fix_pathinfo to zero..
but a nice tut though..
nice test. thank you man. When trying to install phpmyadmin apt seems to want to pull the apache2 server! Anyway to install phpmyadmin without apache? Is this the “vhost” server file that was created in the ./sites-avaiable directory or the nginx.conf file found in /etc/nginx/? The code looks like what belongs in the “vhost” server file. Either way, I tried the code in both files seperately and it didn’t work for me. Could this be elaborated upon? I would greatly appreciate it. It is the vhost configuration file that is in the sites-available directory. to enable make sure that the vhost configuration file is also present inside the sites-enabled directory, this can be done easily by creating a symlink.